Seems like just yesterday a small group of Oregon wineries teamed up with Tuality Healthcare physicians to take better care of vineyard workers. But, in fact, it was 1991 when ¡Salud! was founded; at the time, Neil Goldschmidt was governor and Wayne Cooper donned a Trailblazers uniform. Among the lead orchestrating few was Nancy Ponzi, of her family’s eponymous and iconic Willamette Valley wine label. Nov. 9, her daughter, Maria Ponzi, raised a glass atop an impromptu stage in the cellar of her family’s sleek and new-ish Sherwood estate. She showed a brief video devoted to vineyard crews before kicking off the festivities associated with the 27th installment of ¡Salud!. 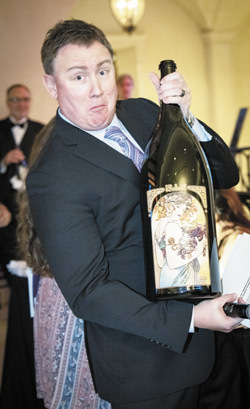 This year’s event featured 39 wineries, each producing custom four-case lots of 2017 Pinot Noir to be auctioned for charity. The wines, while good, reflected their youth as well as the brightness of the slightly cooler growing season — at least compared to the preceding three vintages. Tasters and bidders alike were impressed by the direction many of these exclusive wines might head after a few years in the cellar. All told, ¡Salud! raised in more than $1 million in 2018. 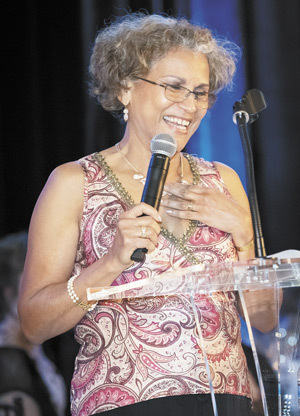 It’s a record for the event and includes the nearly $80,000 raised by a sibling e-auction held in July, in addition to the annual two-day celebration. 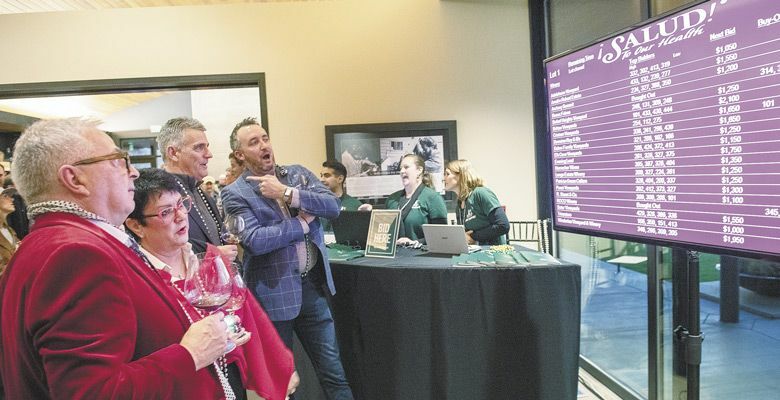 Friday’s Big Board gathering attracted 380 guests to host Ponzi Vineyards in Sherwood while Saturday’s main event, the dinner and auction gala at Domaine Serene, drew some 350 ticketholders. 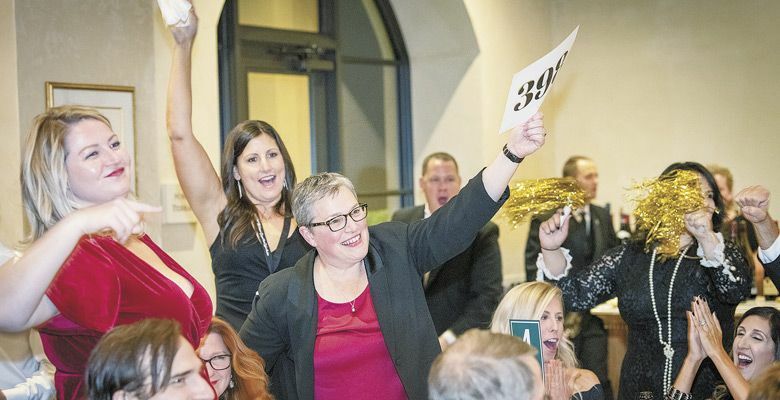 The much more casual of the two galas, The Big Board Auction presented a chance for attendees to rub elbows with winemakers and sample wines before reaching for their wallets. Celebratory bubbles, a stunning sunset and a large tasting flanked by comforting fireplaces rounded out the atmosphere. Attendees sampled wines before live auction screens displaying bidding activity. Some made phone calls on the veranda, consulting with friends on the right price to pay for the exclusive lots of wine. Others pounced on the opportunity to chat about the 2017 vintage or certain barrel regimens. As expected, as the wine flowed, the scenario grew louder, more convivial and, ultimately, more generous. On Saturday, the top-earning auction lot this year was Montinore’s “Italy with Rudy Marchesi,” fetching $20,000. It includes a three-day trek in Tuscany amid Biodynamic wineries with Marchesi himself. 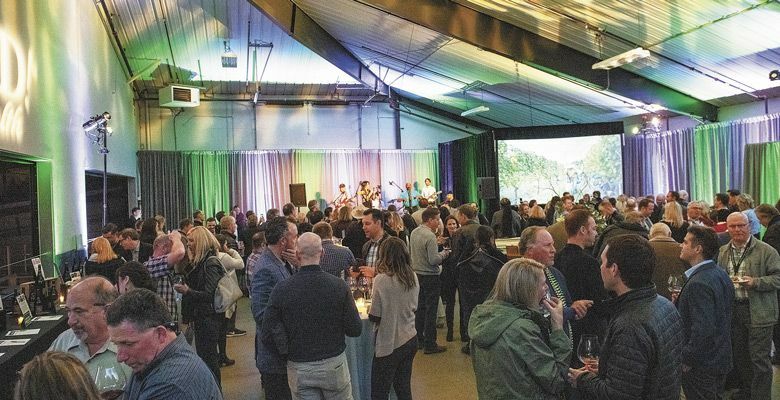 Domaine Serene brought in the same amount thanks to a pair of exclusive winery experiences for auction, including tastings with the owners, accommodations on the property and culinary adventures in Portland at $10,000 a piece. Harry Peterson-Nedry, founder of Chehalem Winery and owner of RR Wines, was honored as this year’s legacy winemaker. His live auction lot, incorporating two days in Portland with both generations of the estate, added $16,500 to the greater ¡Salud! good. It’s a fitting statement for a man who has almost 40 years of industry experience and essentially created the Ribbon Ridge AVA. Proceeds for Friday’s gathering this year set an all-time record, with the average price per case increasing by 50 percent. Based on Ponzi’s casual survey prior to kicking off the weekend, a lot of new faces were in the crowd, perhaps as much as half. 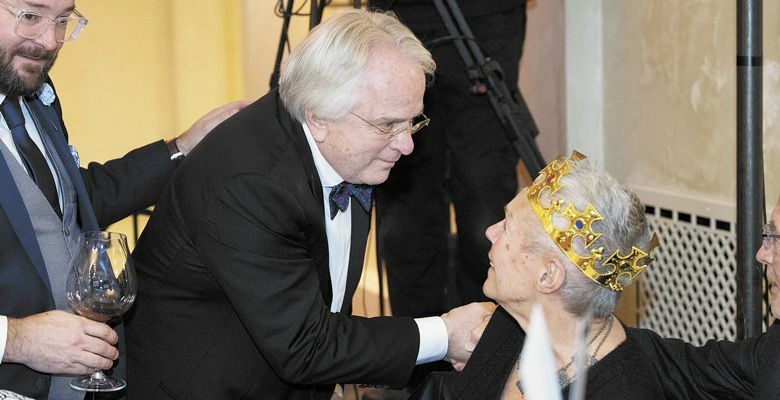 It’s great news for an event that’s estimated to have raised more than $16 million since its inception. Presently, ¡Salud!’s mobile health care unit covers 150 vineyards in the northern Willamette Valley, bringing much-needed services like treatment and education to scores of laborers. Better still, they aim to help recipients navigate the ever-confusing health care system with the hope that they may be able to find a fitting plan independently, down the road. More than 2,500 vineyard workers and their families are served each year, receiving health screenings at the work site, undergoing tests to combat diseases such as diabetes, receiving flu vaccinations and other preventative care. There’s even a wellness element in place, pushing healthy lifestyles both physically and mentally. But the greatest feat of the organization may just be its ability to catch high-risk patients. Many workers, who likely would have otherwise never undergone screening, are read and diagnosed accordingly. It’s a safety net of sorts for folks either unfamiliar with the system, unable to afford or wade through it, or some combination of the two. Winemakers and industry types like to say that good wine is made in the vineyard but ¡Salud! demonstrates actual gratitude through complimentary health care. 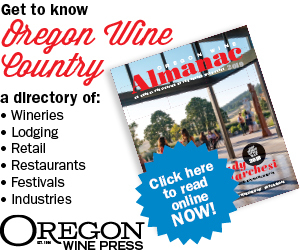 As the wine industry stretches beyond established regions like the Willamette Valley, fledgling producers should look to mimic this service and ensure that the industry is not only sustainable from a business standpoint, but a basic human services one as well.